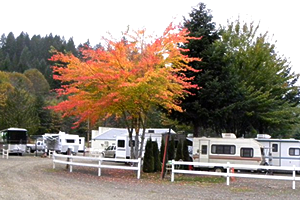 Maple Lane RV Park & Marina, located just 14 miles from beautiful Florence, Oregon has much to offer to our guests. If you’re to fish or just getting away from the “hustle” of it all, we’re sure that you’re going to find our campground the perfect place to create memories of a lifetime! We’re located right on the beautiful Siuslaw River so, if would like to drop your kayak and float for awhile, you’re in luck. We have a county boat launch conveniently located adjacent to our park and our marina is available if you want to leave your boat in the water for a day, a week or a month of river fun! If you’re a hiker, a local favorite is Sweet Creek Falls and is just 11 miles away. 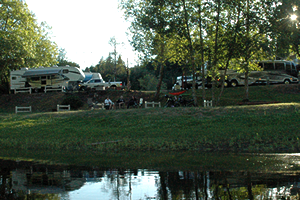 We have RV Sites in 2 sections; Section A overlooks the Siuslaw River. RV Sites in Section B do not overlook the river but are a short walk away. Our small camper & tent sites are on the grassy area directly adjacent to the river and these sites are available with or without water and electric. 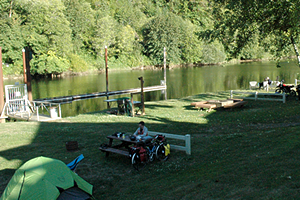 Come camp at our Park on the Siuslaw River & enjoy it’s breathtaking beauty! Call 541.268.4822 & book your site today!